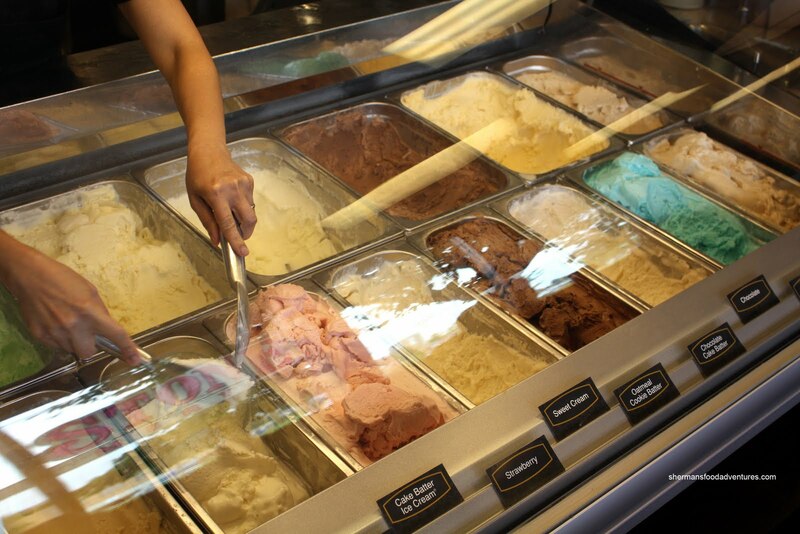 8 years ago, while visiting my cousins in San Francisco, I was introduced to Coldstone Creamery. I also have to give them credit for making me aware of In-N-Out and Jamba Juice as well. It seems like I merely go there to eat rather than visit them specifically. Last November, they served as my chauffeurs to different eating destinations. Often, I'd get a "where did you say you wanted to go???" " Yah Santa Rafael for some Cuban food!" "That's nowhere near us!" "Pleeeeease...." They're such good sports. Okay, back to Coldstone... 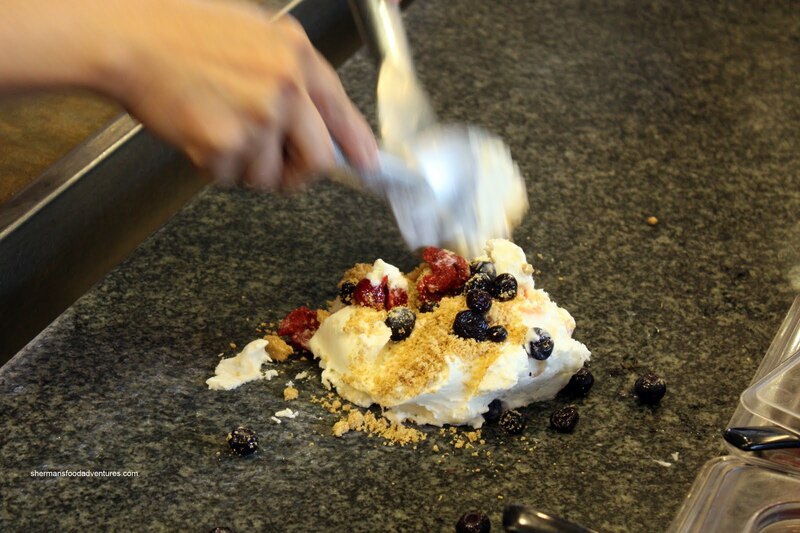 The concept of taking freshly made ice cream and mixing it with different ingredients on a chilled stone surface was definitely intriguing. There is something appealing about food that not only allows for eater input; yet also has a "show" to accompany it. Call it the novelty factor. Despite the obvious signs of merely being a gimmick, I actually liked it. No longer was I eating plain ice cream. Now if you are thinking that it is just a bunch of Smarties, sprinkles and peanuts mixed in with soft serve, think again. Sure, you can go for the obvious basics such as crushed candy bars; but honestly, that's too much like a Blizzard or McFlurry. Go for the creations such as Apple Pie and Cheesecake Fantasy and you have a much more satisfying dessert. 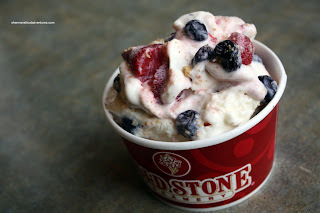 As pointed out to me in my Marble Slab post, it is often a misnomer that Coldstone was the first to open. Actually, Marble Slab opened 5 years before Coldstone. With that being said, for some reason, I like Coldstone more. I only hope it's not the "we can only get it in the US" effect that influences my preference. Alas! 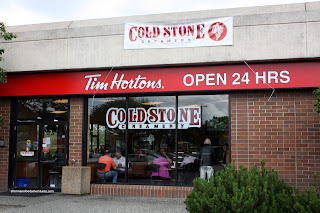 Coldstone has finally made it up into the GVRD... sorta... You see, the current locations are situated in Tim Horton's. When I say in a Tim Horton's, it is literally built into the long service counter. 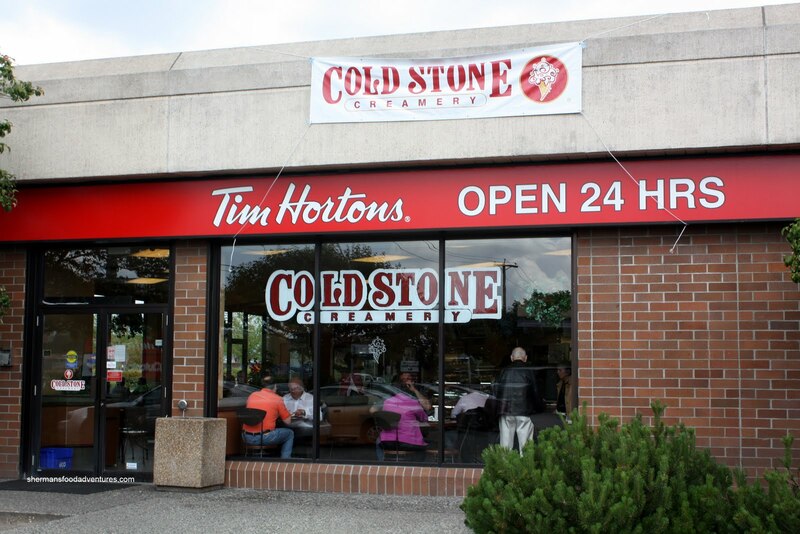 In fact, the employees are wearing Tim's unis and there is no actual separation of stores. That would probably explain my cluelessness where I stood in the Tim's lineup at first. 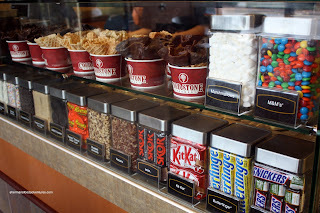 I waited and waited, where I found out that I only need to go straight to the Coldstone counter. Without hesitation, I opted for the Cheesecake Fantasy in a "Love It" size which is the 8oz. The "Like It" is 5oz and the "Gotta Have It" is a whopping 12oz. Consisting of cheesecake ice cream, graham crust bits, blueberries and stawberries, it was not near ly as sinful as some of the other offerings. Sure it's sweet, and if you choose chocolate bar additions, it'll be complete sugar overload. There are lower fat/sugar options available. I didn't check those out on this visit. In terms of pricing, it is not cheap; but if you consider what gelato goes for these days, it's not that bad (I know it's different, don't flame me, just making a comparison in price only). For me, it is not often I go for desserts, that's reserved for Mijune; however, Coldstone is pretty decent if you pick the right combo. This place is close to my heart. Not because I can dine there (dairy allergy and all) but because one of my old tennis coaches managed southern California's franchises, and his stories are epic....I recommend this place, and I so wish I could indulge, but it does what it does well. For me, it is not often I go for desserts, that's reserved for Mijune. I think she has reached that point that (almost everybody?) recognize that fact, hehehehe. But, yeah, I am with you, not necessarily a dessert person. BTW, really nice last picture! Another interesting thing I didn't know about. So what's the theory behind a cold marble stone? Mare-bear, I like it too. Definitely a treat. Anson, I don't know who came up with the stone. All I know is that it keeps the ice cream cool as they mix the ingredients. i remember the first time i saw this combo, it was in chilliwack. i went in for a timmy's tea and i instantly gravitated towards cold stone. i've heard that they have frozen yogurt (i can't eat ice cream) but didn't see any. i asked and the girl behind the counter seemed clueless. sadness! Yah, I think they have low-cal options. Not sure about the yogurt. I'll need to check it out next time.